Research aimed at becoming familiar with the assessment of selected brand attributes of a given product and related consumer behaviour. These may refer to such aspects as brand loyalty, its personality, positioning, value, image or familiarisation with the brand. Market research, whose target group i.e. respondents, are companies and their representatives, not private individuals. B2B researches differs from consumer surveys in the specificity of the collected information, manner of reaching respondents, and duration, which is usually longer than for a similar scope in case of consumer research. Market research in which the respondents are natural persons, usually consumers or the target group of a given product. Consumer research divides into numerous types including satisfaction research, brand image research, usage & attitude research, product and advertisement concept tests, consumer motivation and decision process research. Studio of telephone research conducted using the CATI (Computer Assisted Telephone Interview) system. CATIs for the entire duration of the test are controlled thanks to the possibility of continuous playback of the interview on any research station. Each answer of the respondent is entered to the CATI system and automatically saved in the database. Computer Assisted Personal Interviewing. A technique of personal interview, which instead of a traditional paper questionnaire uses an electronic version of the questionnaire. The interviewer reads questions displayed on the screen of a portable computer to the respondents and enters obtained answers. The primary advantage of such an interview is the possibility to rapidly develop the research results and the elimination of questionnaire related mistakes. A complete and exhaustive analysis of one special phenomenon such as a single product, event, market phenomenon. Computer Assisted Telephone Interviewing - a technique of quantitative research using specialised computer software to conduct telephone interviews. Such interviews are conducted from the CATI studio based on the electronic questionnaire displayed on the computer screen. The conduct of interviews is subject to the rigorous supervision of the computer system, which controls the order of asked questions and verifies the logical correctness of the collected data. The advantages of the CATI technique include quicker performance time, great possibilities of the interview quality control and lower cost of reaching respondents. Computer Assisted Web Interview - a technique of quantitative research using the Internet to conduct research. The respondent, having gained access, fills in a questionnaire on the website. The questionnaire is then filled in independently with the assistance of guidelines displayed on the questionnaire. The results of the completed questionnaire are automatically saved by the system supervising the course of the interview. A consumer study taking place in a location easily accessible for respondents, usually in rooms in city centres. The subject of the research is usually a product test or assessment of packaging or the product concept. The advantages of the Central Location Test include the possibility of direct supervision of the interview and receiving answers from many respondents in a short time. A study in which a description or model of a specific product or service is assessed by consumers. The concept usually covers only practical information regarding application of the tested object and its characteristic features including the marketing reference. The concept test is usually conducted in cases when there is no possibility to examine the relevant, real object (for example it has not been launched to the market yet). This quantitative research technique, aimed at identification of the most important product features in specific dimensions from the point of view of its potential customers. This approach allows the gaining of knowledge regarding preferences of specific product characteristics expressed by consumers. Conjoint analysis enables development of the best product concept or modification of the existing ones. A group of respondents covered by panel research, or specification of the panel research. The panel covers a group of the same respondents, who participate multiple times in the research - every now and then. Panel research allows to track changes of opinions, assessment and attitudes of individual or business consumers. A study in which respondents assess advertising material (television, radio, press). The respondents are asked for opinions regarding the topic of the composition, attractiveness, message, reliability, they indicate elements subjectively not accepted and requiring modification and present a repertoire of associations combined with the tested advertisement. A research technique consisting of the analysis of already available data from various sources, their mutual verification and consolidation. This can constitute an independent research technique or be the initial phase of the project preceding the phase of collecting primary data. Desk research is an important part of the PMR MarketInsight methodology used by PMR Research. The European Society for Opinion and Marketing Research. The largest international association of people professionally involved in research. ESOMAR contributes to the continuous improvement of the research methodological and ethical standards. PMR Research has been a member of the society for many years. A concise summary of the research results including the list of the most important results, main conclusions and recommendations. The included information is unambiguous, clear and transparent. The executive summary usually represents an independent part of the general research report. An interview with a respondent who has vast knowledge about the research subject. The participants of expert opinion surveys may include professionals and specialists from the specific industry, scientists etc. An interview conducted by the researcher or interviewer during a direct meeting with a respondent. A research agency providing field services i.e. data collection in line with the methodology selected by the client. The clients are usually other research agencies. The tasks of a field service agency include data collection, organisation of focus groups, conducting interviews, data quality control and its delivery to the customer. A person cooperating with a research agency responsible for organisation and performance of research projects in individual regions of the country. The coordinator may be responsible for supervision of the interviewing network operating on its territory, training interviewers and various logistics activities. A phase of the research project consisting of collecting data in the field in accordance with the previously agreed methodology. These could be face-to-face interviews, telephone interviews, online interviews, focus groups, and mystery shopping. It usually starts with the training of interviewers, introduction of research tools (such as a questionnaire) and ends with the data quality control. A technique of qualitative research consisting of discussion of 6-12 participants managed by a trained moderator in line with the research scenario (guide). The focus group usually takes place in a focus studio i.e. a special room equipped with a two-way mirror and equipment for audio and video recording. Focus interviews are used primarily to test product concepts and analyse the brand image. A room adopted for conducting focus group interviews (FGI) consisting of two separate room divided by a two-way mirror. One room is used for conducting the survey with a group of respondents, and is equipped with audio and video recording devices. The second room allows the customer to conduct observations and control the research. Research aimed at diagnosing the reception of a specific product, brand, service or person. It is focused on discovering all emotional reactions of the respondents, their imaginations, associations, stereotypes combined with the surveyed object, and on defining its influence upon the attitude to the research object. The obtained results allow to develop a positive image in the future. Remuneration for respondents or companies taking part in market research for the dedicated time and effort of research participation. It can be in monetary or material form, and its value depends on the research specificity and type of respondents. A qualitative technique of conducting interviews resembling a casual conversation. Such interviews usually proceed in line with the general structure, and its is possible to change the order of asked questions or modify them depending on the course of conversation. The goal of the interviews is to obtain in-depth information. Research conducted in a centrally located areas, shops, and supermarkets during which respondents have the possibility to test and assess specific products or concepts. Research consisting of testing products by the research participants in their homes. A research agency employee, who after training, conducts interviews with respondents based on interview questionnaires prepared by researchers and thus collects information. An institution offering marketing and market research services. Agencies usually have specific profiles of activities. They may offer research services for selected service and manufacturing industries or specialise in a specific research category. PMR Research offers research in pharmaceutical, construction, IT, FMCG, financial and many other sectors. General principles regarding the manner of conducting a specific research project usually presented in a descriptive form. The research methodology description usually includes detailed goals of the research, description of applied research tools and techniques, the selection method and the size of the survey sample. The research methodology description is included as a standard both in the research offer and the research report. A person managing discussions in qualitative research such as focus groups (FGI, focuses) or in-depth interviews (IDI). During a focus group, the moderator asks questions, controls the course of the discussion, motivates group members to active participation in conversation, and does not influence their opinions in any way. A research technique applied most frequently to obtain information allowing to assess the personnel behaviour towards customers, examine consumer behaviour in real conditions, and check the product sales environment. This method combines participating observation and interview. During the visit the interviewer acts as a customer not revealing his/her identity, and records the observation results in a form appropriately prepared for this purpose. Then, the data collected during the series of interviews is analysed. The test of research tools, which were prepared for the research conducted before its relevant phase. A model pilot study includes a small number of sample interviews. The participating respondents assess whether all questions included in the questionnaire are clear, understandable and reasonable for them. A quantitative test consisting of gathering information about consumer reactions to the prices of a given product or service. Price tests diagnose opinions on the current product price, indentify the customer price sensitivity and define the product price bracket accepted by customers. A study in which consumers assess a specific product usually before its market launch or after its modifications, changes and improvements. Items most frequently subject to product tests are primarily food articles and various fast moving goods used on a daily basis, but also less typical products. One of the two main research categories referring to the research methods and techniques focused on deeper knowledge and description of phenomena, and not determining frequency of their occurrence. Qualitative research is conducted in relatively small groups of respondents selected in a deliberate manner subject to the research topic. Data collection is conducted based on non-standard research tools such as general scenario of the interview including flexible discussion principles. Qualitative research aims at explanation of motivation, attitude and behaviour. Activities aimed at assessing the reliability of interviews conducted by interviewers. The most frequent form of controlling interviewers is verification whether they conducted an interview with a given respondent and whether the interview was conducted appropriately. Logical cohesion of the obtained data is also subject to verification. One of the two main research categories referring to the poll-related and experimental research methods. The main feature of quantitative research is the interest in quantitative, numeral description and explanation of the reality. It responds to questions such as how frequently specific opinions, facts or phenomena occur in a surveyed population. They use large samples of respondents representing whole populations. These surveys are conducted based on standardised research tools such as questionnaires and surveys. A structured set of questions for respondents used in a quantitative research including precisely formulated questions usually with instructions and guidelines for the interviewer, and the list of possible answers (cafeteria). The report from the research including specification of the research subject, characteristic of the research process, presentation of qualitative and quantitative results and conclusions resulting from the research. A randomly selected sample, which allows to draw conclusions regarding whole population it represents with a certain probability. A research agency employee professionally involved in marketing, market research and opinion polls. Responsibilities include designing and conducting research using specific methods and research techniques. Research agencies usually have a conventional division into qualitative and quantitative researchers. Research ethics are the set of ethical rules governing the manner of conducting marketing and market research and opinion polls. The most important rules used in reference to respondents include informing them about the goal of the study, assuring anonymity of those surveyed and confidentiality of results of the conducted research. The ethical rules of conducting research also regulate mutual rights and obligations of researchers and customers ordering research. The description of the research project performance method including goals and assumptions of the research, description of techniques and research tools that will be used in the research, characteristic of the sample group, specification of the manner of preparation and presentation of the research results, and schedule of the research performance. Technical manner of conducting a research. Everything that enables data and information collection during the research i.e. the interview questionnaire, survey, interview scenario. A set of all questions and topics that the research is supposed to answer. The necessary condition of the appropriate formulation of the research problem is agreeing with the customer the entire list of issues and details related to the customer needs, and the planned manner to use results obtained within the research. A licensed method or research technique prepared by the agency or another research institute used for execution of a specific research category. 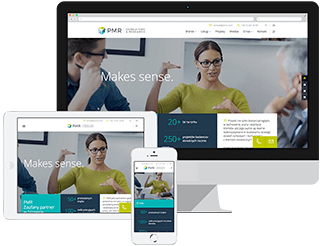 PMR Research uses two methodologies developed by its analysts: PMR Market Insight and Brand Image Insight. A participant of the research, who is a source of the research information. Could be a natural person or representative of companies that participate in various types of interviews. A research inquiry sent by the client to the research agency. It usually includes initial information on the planned research project i.e. description of the research problem, the goal of the study and possibly the scope of activities to be performed by the research agency. A more detailed brief may contain the complete methodology of the planned research. A group of individuals drawn or selected based on detailed procedures from the whole group of people or companies covered by an individual research. Sampling consists of selecting, in a specific manner, individuals from the whole population, for example consumers or enterprises, which form a statistical sample. Research on appropriately selected samples allows gaining certain knowledge about the entire population. Research conducted amongst consumers that lead to obtaining information about the satisfaction of the product or service usage. It allows to adapt the offer to real customer needs, and also improve the product quality and customer service. The research area cover the following issues: customer satisfaction from cooperation with a company, assessment of the product or service offer, quality of the order placement and completion process, assessment of customer service, assessment of products and services compared with the competition. An initial questionnaire used in the respondent recruitment process. A screener usually includes several vital questions regarding criteria that a person covered by the research should meet. Most frequently these are questions allowing to define the relationship between a given person and the subject of the planned research regarding usage of a given product or service, profession etc. A study whose results allowing to split the general population - for example consumers - into several smaller parts (segments), which can be differentiated by specific criteria such as demographic features, attitudes, preferences and purchasing power. Segmentation studies can be used to identify a segment especially attractive from the point of view of the customer ordering the research. A survey consists of obtaining data by the interviewer asking questions based on a standardised questionnaire from an appropriately selected group of respondents. A research conducted systematically in a specific time intervals, similar in its concept to panel research, but unlike panel research the tracking research is conducted each time on a different group of respondents. The topic of the research remains unchanged just like the range of questions for respondents. The goal of the tracking research is to track changes in consumers perception or preferences. A written record of conducted qualitative interviews including written down opinions of all interview participants previously recorded by audiovisual equipment. Transcriptions of conducted interviews are the fundamental material analysed by the researcher during preparation of the research report. An interview conducted during a phone call. During the interview the interviewer reads questions included in the interview questionnaire to the respondent and writes down answers, the interviewer can also provide additional explanations regarding the goal of the research. An opinion poll of Internet users conducted with an electronic interview questionnaire using a website. Online surveys are widely used. Examples include measurement of the visibility of promotional campaigns, testing advertisements etc.